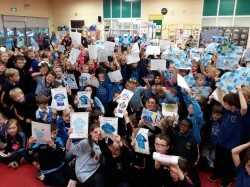 Last Thursday, November 8th, there was great excitement in Scoil Maelruain Junior! We were very lucky to have TWO All Ireland trophies visit our school. 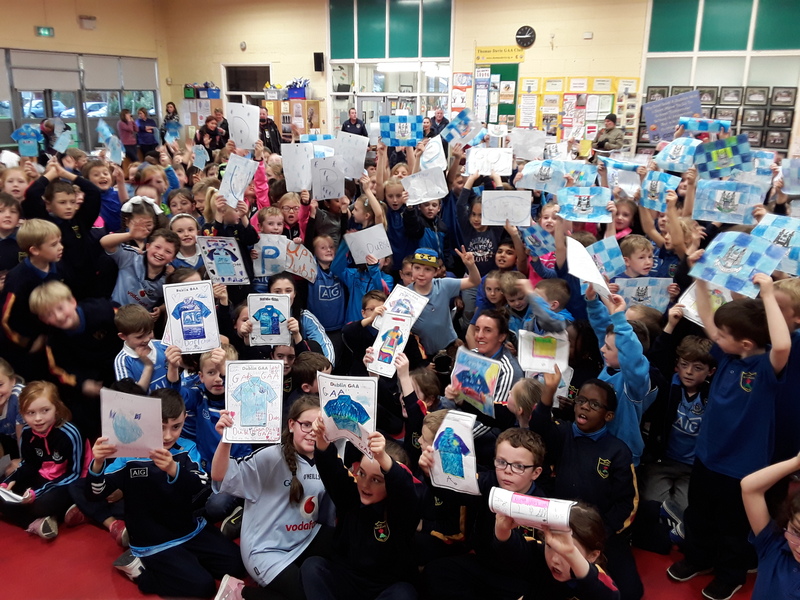 Past pupils, and Dublin All Ireland ladies football winners, Siobhán McGrath and Olwyn Carey brought their winning trophy, the Brendan Martin Cup to the school for the children to see. They also brought with them the Sam Maguire Cup, which the Dublin men’s team won in September this year. Click on the video below to watch all the excitement.